Russian charter carrier iFly has put an Airbus A330-200 into revenue operation, reads the airline’s Facebook post. According to open sources, the operator now has two A330 family aircraft. The airliner, registration code EI-FSF, first flew in 1999. It was previously operated by Emirates. 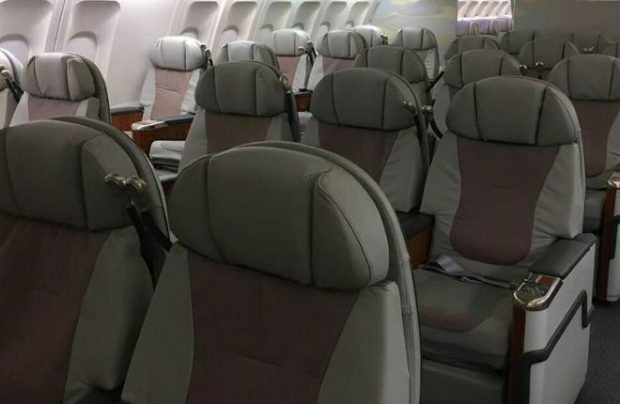 The carrier’s Facebook statement says its new aircraft seats 212 passengers: 17 in first class, 30 in business, and 165 in economy. However, the official iFly website mentions a different layout: a total of 237 seats with 12 in first, 42 in business, and 183 in economy. Flightradar24 indicates that the aircraft is operated on routes from Moscow to Antalya, Dalaman, and Bodrum, all three being holiday destinations in Turkey. As of May 2017, the register of the Federal Air Transport Agency listed five aircraft as being operated by iFly: one A330-200, two A330-300s, and two Boeing 757-200s. One of the A330-300s (EI-FSP) is reportedly out of operation at the moment.